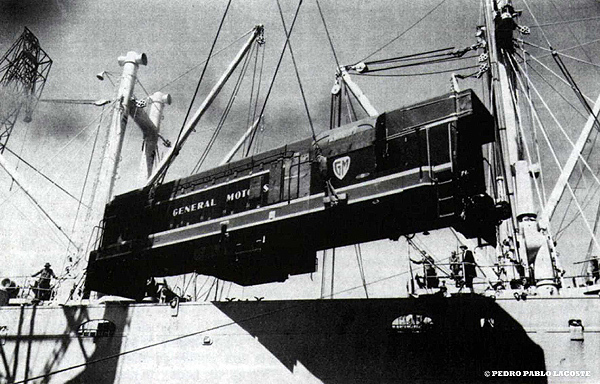 EMD 1956 G12 being loaded on ship en-route to Argentina. 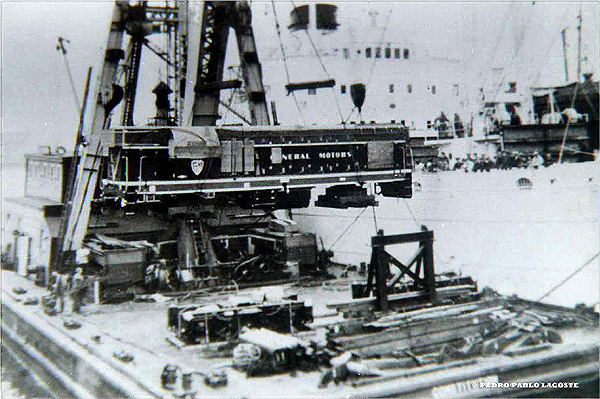 Unit was destroyed in Argentina but generated orders for more G12's. EMD 12-567C engine rated 1425/1310 hp. photos courtesy Pablo Lacoste.